That space is not a void, that it is a separate entity, with defined structure, which has its own physical properties associated with it. While the search for the Graviton may continue, a much simpler and plausible alternative may be found in the study of a defined physical space. A theory on the existence of space strings and how they create gravity as a mechanical force. Descartes formulated our notions of space when he said, “For a body’s being extended in length, breadth and depth warrants in itself the conclusion that it is a substance” . These are the three constituents of space, (Figure 1) each indistinguishable from the other, but measured at a 90 degree angle to the other 2, which makes them unique. More commonly referred to as dimensions and usually denoted as x, y and z. And as there is no limit on the distance of each of these we can measure, then each is infinite. 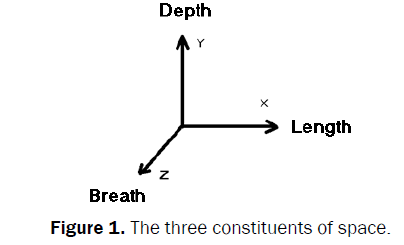 Figure 1: The three constituents of space. 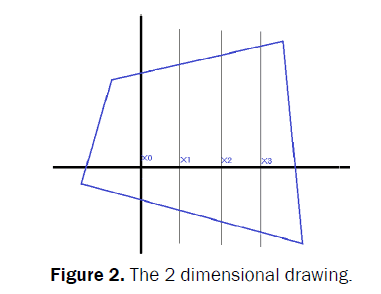 Consider the following 2 dimensional drawing (Figure 2). One can see that the lines x0, x1, x2, which are on the same plane have different lengths, when measuring object a, therefore each line at x0, x1, x2, x3 are also unique. And as the properties of length, breadth and depth are the same, this will also apply to all 3 dimensions. Descartes went on to say “The same conclusion must be drawn with respect to a space that is supposed to be a vacuum, namely that since there is extension in it, and there must necessarily be substance in it as well” . We know that space has extension in it, so it must be made of something also. So what is the substance of space? To try and answer we need to understand the interactions of space with matter. Figure 2: The 2 dimensional drawing. Consider the following (Figure 3a and 3b). Space is made up of a 3d lattice of 1 dimensional string at right angles to each other. Figure 3a and 3b: Single unit of space (3a), and space lattice (3b). These space strings have a certain amount of elasticity. They interact with matter but are immiscible with it (Space string theory). Suppose we view space not as empty, but as full of space, a separate entity which interacts with matter. Suppose we view space as being made up of strings of infinite length, which are at rest(in a state of equilibrium) in the absence of matter, but with the Introduction of matter these space strings are displaced and so put in a state of tension. In Figure 4 we see how the presence of matter will displace space strings in a 1 dimensional way, and so cause a force of tension to be created in each string. Figure 4: Showing the displacement of space in 1 dimension. Consider now 2 individual matter parts in space as shown (Figure 5). Figure 5: 2 individual matter parts in space. The tension in the space strings will be greater than in A as there is a greater amount of displacement between the 2 particles of matter. By moving the parts together the amount of space displaced decreases. This gives rise to the notion that Gravity is not a force of attraction but a mechanical force pushing matter together. In Conclusion, describing space as a separate entity, with its own physical properties and defined interactions with matter will provide an alternative solution to the origins of gravity. Descartes R. Principles of philosophy. Kluwer Academic Publishers.Part II.